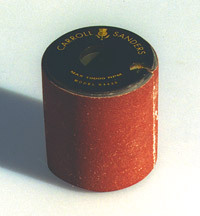 The Gibbs Sandtech BS 750 is a twin-spindle Bobbin sander. 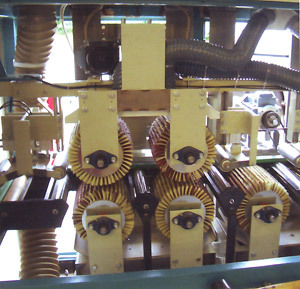 The twin shafts allow a variety of sanding heads to be accepted. 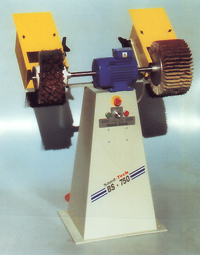 This machine offers the best of both worlds, superb sanding from the soft form head and the ability to de-nib with the other head. 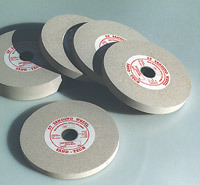 The finest finish sanding with great blending ability. 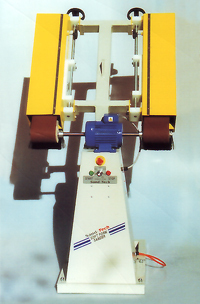 Ideal for chair component manufacturers. 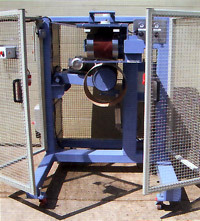 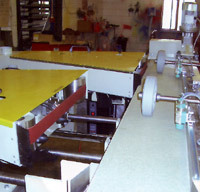 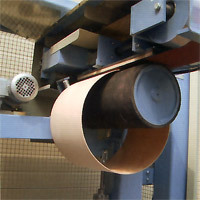 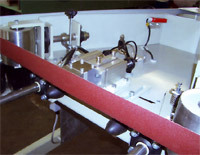 Long abrasive belts are used to keep the abrasive cool as it sands. 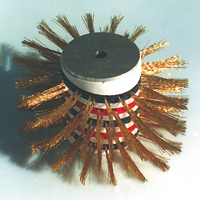 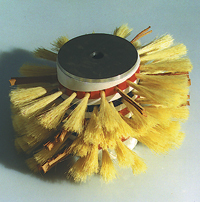 QN QD is discs of abrasive fingers interspaced with soft abrasive nylon brushes. 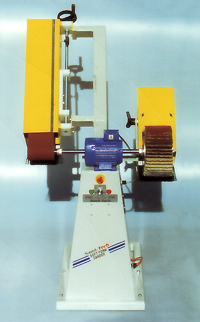 The QW4 are pneumatic sanding rollers, which are versatile sanding tools that can be used for wood, metal, plastic, rubber and leather. 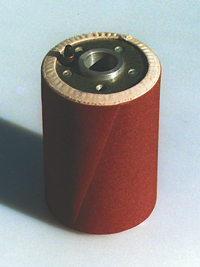 Suitable for opening the grain on oak for liming and stiffer steel can be used for distressing timber. 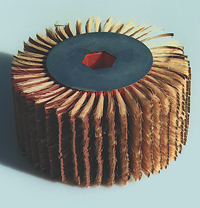 Quick Flex is suitable for wood sanding, achieving a fine finish before applying a base coat as well as the de-nibbing of flat and contoured items. 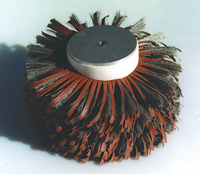 Sisal and Leather is used for polishing wax, giving a true shine without the hard work.